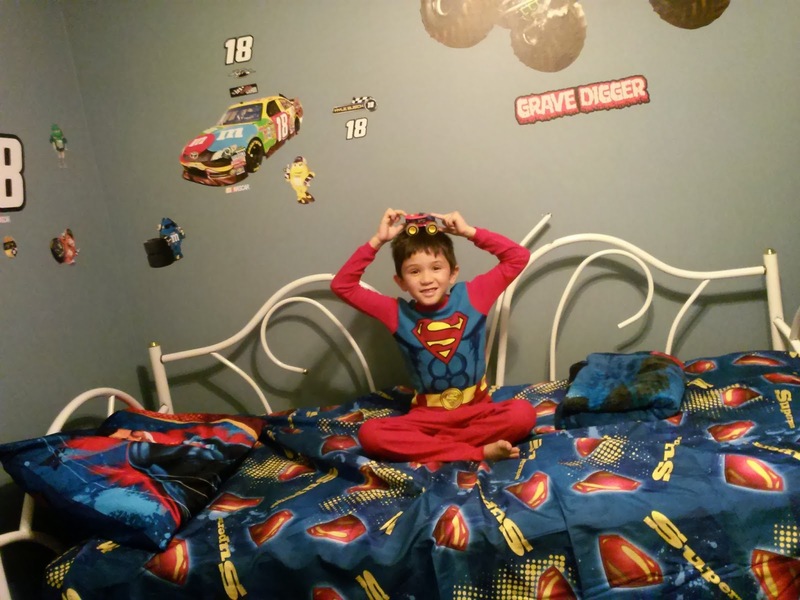 His Bedroom the Theme is Superman he got from Santa look at that Pajama, Car on his head, Bed sheet, Blanket, body wash, and clocks all of this is superman amazing the brat spoiled in toys. 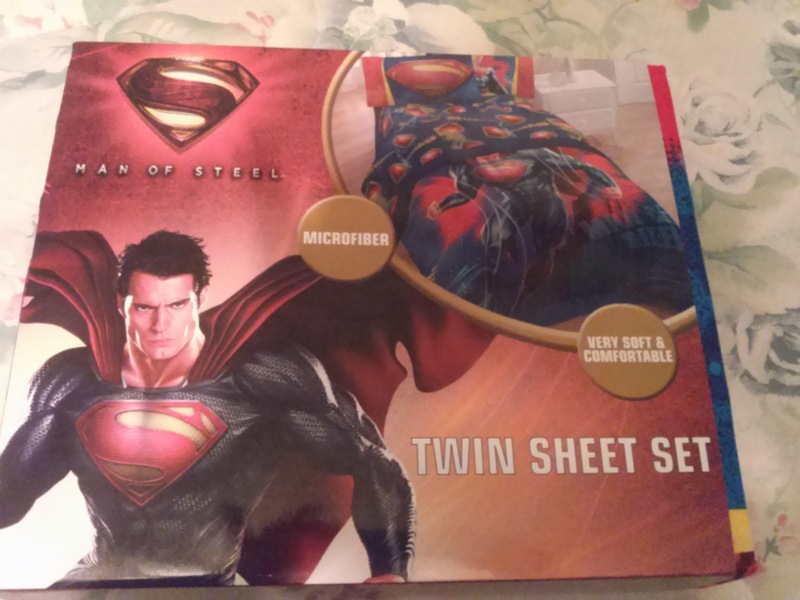 My son recieve tons of christmas presents from santa on christmas day he recieve this Superman (Twin bed sheet set), Bed sheet, Blanket, Clock superman, and 1 pellow case , he recieve on christmas he also recieve a separate body wash, the iron man with wash cloth he was happy because he knows I well not buy anymore since he knows that buying his stuffs like shampoo, body wash and other kind of kids stuffs are expensive unless you pick the cheaper one you can buy it for cheaper anyway. kids that they don't have a toy. 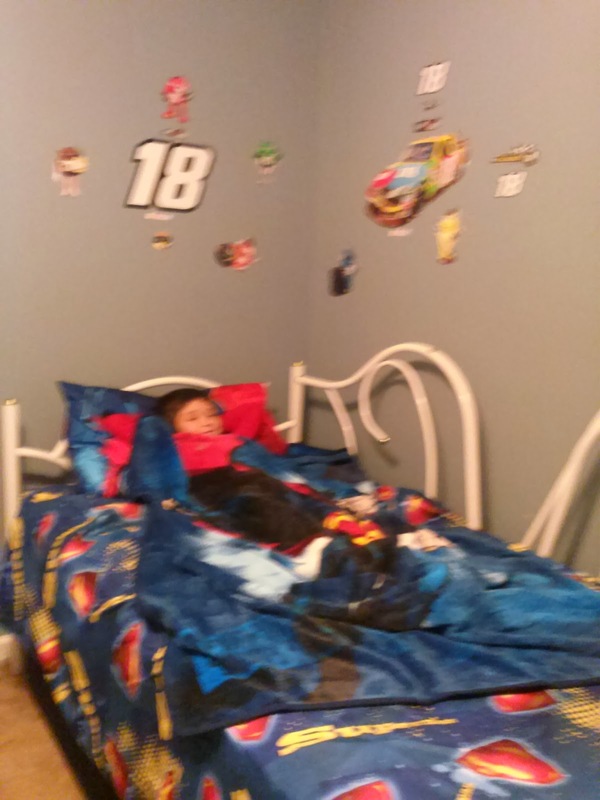 He well have to share his toys to his cousins and friends, as well as I would say my son is lucky to have a generous Aunts, Uncle, grandparents and friends I teach him to be learn how to share his toys. This is such an awesome product. 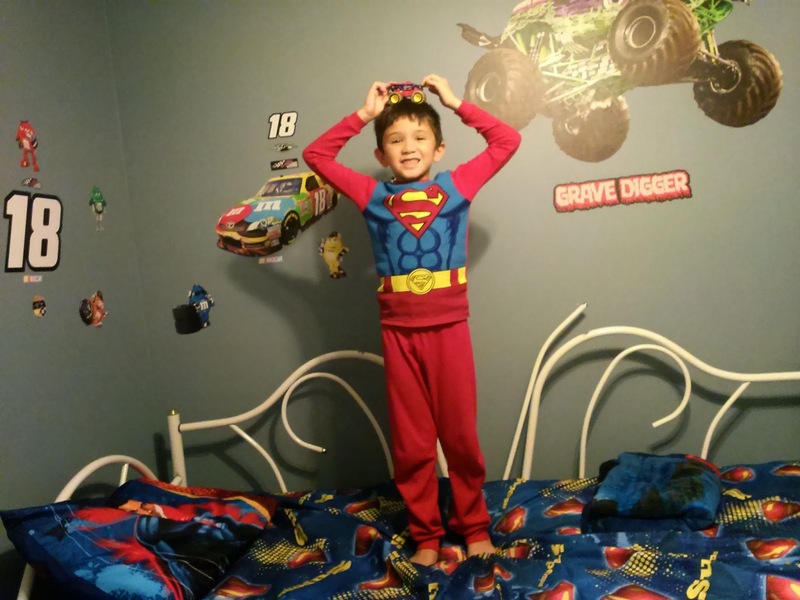 The material is very soft and comfortable, I change the color of his bed sheet and blanket, I must say he has many things like toys I don't buy many last christmas since we know santa well bring some stuffs on christmas day. You not going to believe this but I have spent all day scrounging for some articles about this. I wish I knew of this site earlier, it was a essential read and really helped me out. Have a good one.